Freshmen attending Indiana State University next year who have a high school grade point average of 3.3 or higher (on a 4.0 scale) will be guaranteed a scholarship worth at least $1,000 and may be eligible for even more lucrative awards up to the full cost of tuition. 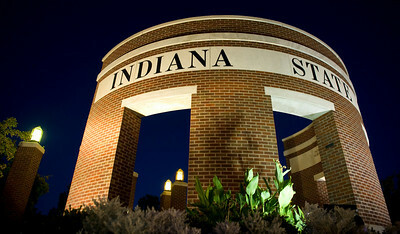 Indiana State continues to offer several competitive scholarships that are even more valuable. These include the President's Scholarship, worth $15,000 per year; University Honors Scholarship, valued at $5,000 per year; Networks Scholarship, which provides full tuition and a $3,000 professional development account for selected business majors planning a career in financial services; Gongaware Scholarship, valued at $6,500 per year for selected students majoring in financial services or insurance and risk management; Creative and Performing Arts Award, valued at $2,000 per year; and the Rural Health Scholarship, which provides full in-state tuition for selected pre-medicine students. To be considered for competitive scholarships, students must apply for admission and be accepted by Dec. 1, except the Rural Health Scholarship, which has a Nov. 15 application deadline. For most other scholarships, students must apply and be admitted to the university by March 1. In addition, there are external scholarships available for which students should consider applying, Donat said. But many times, that doesn't happen. Contact: Sarah Wurtz, associate director of admissions, Indiana State University, 812-237-3935 or swurtz@isugw.indstate.edu or John Beacon, vice president for enrollment management, marketing and communications, 812-237-3660 or john.beacon@indstate.edu. Freshmen attending Indiana State University next year who have a high school grade point average of 3.3 or higher (on a 4.0 scale) will be guaranteed a scholarship worth at least $1,000 and may be eligible for even more lucrative awards.